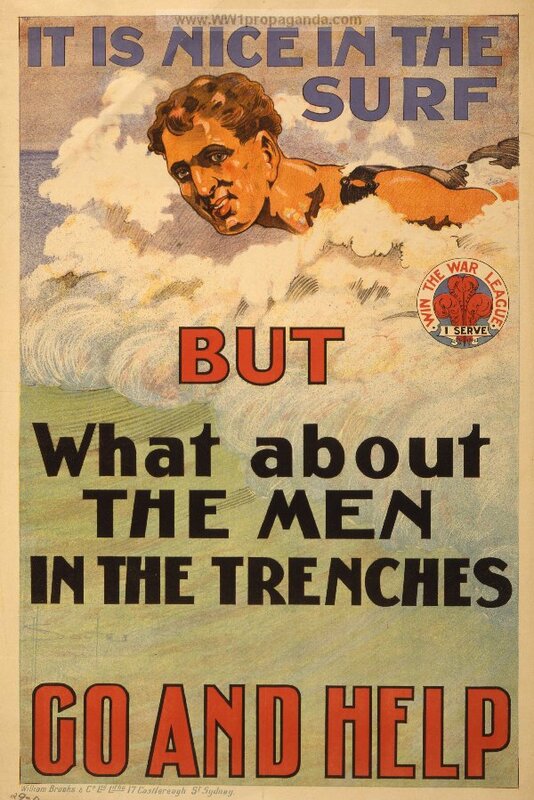 A collection of World War I propaganda posters is to be made available online as a digital archive. Around 300 posters that were collected by the secretary of the McLean Museum in Greenock, Scotland, during the conflict are being digitised after the award of a £51,300 Heritage Lottery Fund (HLF) grant. The museum’s assistant curator, Vincent Gillen, said: ‘From 1914 the secretary of the museum, Thomas Thomson, had the foresight to write to the High Commissions and embassies of the countries fighting against the Germans and their allies asking for examples of posters. ‘He was sent recruitment adverts and propaganda posters from Britain, France and Ireland as well as material from America and Canada. Some are very rare and all of them are in near perfect condition as they were sent directly to the museum and have been safely stored away ever since. The collection will go online as part of Scotland’s commemoration of next year’s Centenary of the start of World War I. This entry was posted in Events and tagged centenary, Greenock, Inverclyde, museums, news, posters, propaganda, Scotland. Bookmark the permalink.